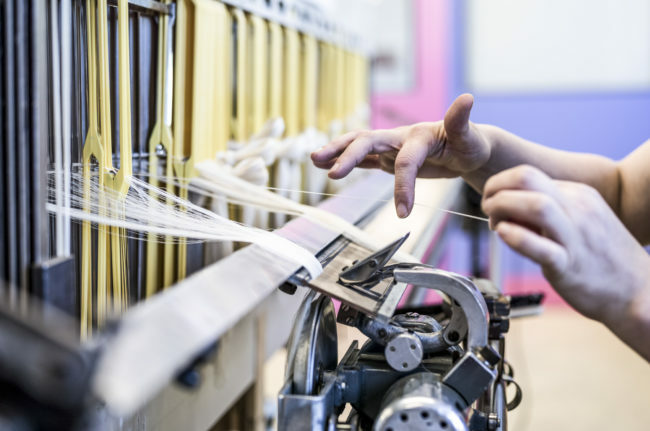 Tradition and technology, experience and state-of-the-art know-how – Stotz & Co. embodies 75 years of creativity and innovation in textile design. As architects of fabrics, we convert our ideas into cloth. Our motto is not just to wait for fashion trends, but to actively identify trends and to play a role in defining them. Leadership in creation and technology, combined with quality and flexibility can only be achieved through local production. Our fabrics are developed in Zurich, and woven and finished on Zurich’s doorstep. Our approach, «Made in Switzerland», guarantees that in the future our customers can continue to benefit from our know-how, which we have built up over decades. The company Stotz & Co. AG is your specialist for all special requirements for high-quality fabrics. Contact us for special requests.